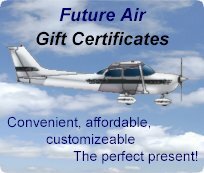 Future Air offers a wide variety of Sightseeing flights to suit your needs. 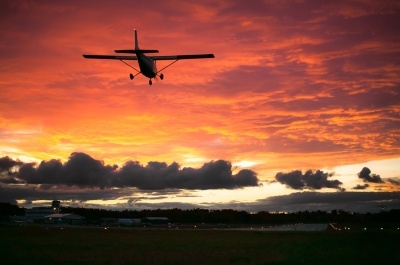 All flights are flown using our highly acclaimed Cessna 172 aircraft. These aircraft can handle up to a maximum of 3 passengers per flight. The routes shown below are just some of our popular sightseeing routes. We can easily tailor a route to suit your specific needs or goals. Excellent for the first time flier or if you want to get your feet wet, you have a window seat to the many local attractions. Time will fly by as we show you the wonders of the area. 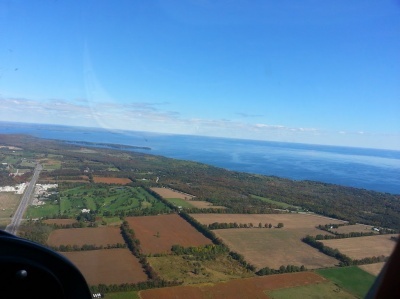 With a 30 minute flight you will see - Blue Mountain, The Mary Ward Shipwreck, Georgian Bay, and Nottawasaga Island finishing with Wasaga Beach - the longest fresh water beach in the world. Great way to settle in and take in the entire area, ideal for the more adventurous groups. Option 1- Take off and head west! We then head towards the Town of Thornbury and turn south into the Beaver valley, gaze down at the various orchards that it has. Enjoy the sight of the beaver valley, Eugenia falls and Lake Eugenia, Take in the sights of the wind turbines to the south, and finish up with taking in the majestic views of the top of the mountain as we head back in for landing. Option 2- Take off and go east! After takeoff, you will take in the sights of Collingwood, Village of Blue Mountain, Mary Ward Shipwreck, then we turn and follow the shoreline to Wasaga beach, head along the shore up to Midland and Penetanguishene. You could also view the city of Barrie, local ski hills, or marshlands. Keep reading to discover many more great scenic flight options. Also Excellent for the first time flier, a nervous flyer or if you just want to get your feet wet. Every seat is a window seat. 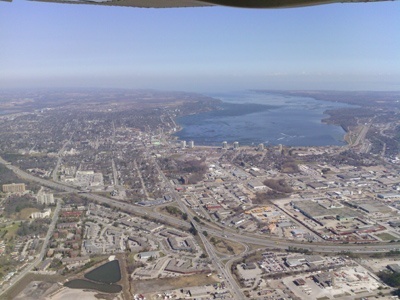 A 30 minute sightseeing flight will give you the opportunity to view either the city of Barrie, or Orillia. Snow Valley, Horseshoe Valley and Mt. St. Louis Moonstone ski hills, or maybe just take in some local scenery. Maybe try a sunset flight or a fall colours tour. The 60 minute sightseeing flight is a great way to sit back, relax and enjoy the view. circle over Barrie and Orillia and still have ample time to get the perfect aerial shot of your house or property. You could fly to Collingwood or take our Million Dollar Muskoka Cottages tour. You could fly south to see the city skylines from the North end of Toronto or circle around Lake Simcoe. The options are limitless. All flights are pro-rated, which means you only pay for what you use. If your flight lasts 1 hour and 10 minutes, we will not round up to the next half hour. Any length of this tour will leave you with the most awe inspiring sight that many have ever enjoyed. Young and old alike will rejoice in the spectacular sight of watching the sunset from the air. Also makes for a romantic Valentines or Anniversary gift for that special someone. Flight must end prior to official night. Looking for something different? 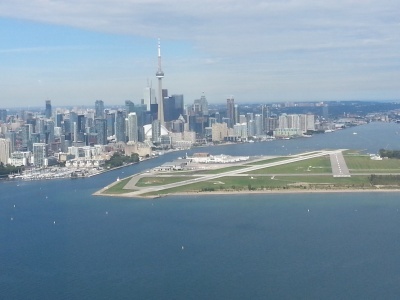 Try our Toronto Skyline tour, this will include flying over the city and a pass by the CN Tower, the Rogers Centre, and the Toronto Island Airport. Includes Lake Simcoe, the City of Barrie, Bradford, and Newmarket. No other better way to beat the traffic then by the air. 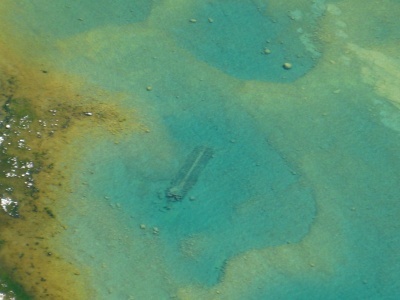 Georgian Bay has a multitude of ship wrecks that hold a lot of history. This flight begins in Collingwood and proceeds to Little Tug harbour in Tobermory. You will see the Mary Ward, the Gargantua in Cabot head on the Bruce Peninsula and many more. 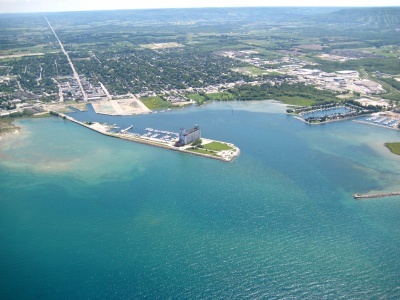 As an added bonus, on the return trip, you will take in the villages of Thornbury and Meaford, the Town of Owen Sound, Lake Huron and Georgian Bay. You will be provided with a detailed guide describing each shipwreck, its history and a map where all of the wrecks are located. Due to the flight time this flight is restricted to 2 passengers. 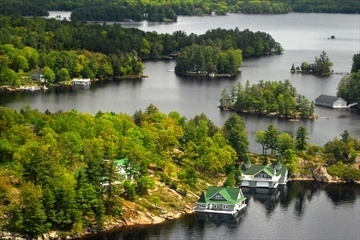 The beauty of Lake Muskoka can’t be understated, add in the aerial view of the various million dollar cottages that reside there – Bingo! From famous celebrities such as Goldie Hawn and Kurt Russell to business moguls like Kevin O’Leary, many of the elite like to kick back and relax in their home away from home in beautiful Muskoka. 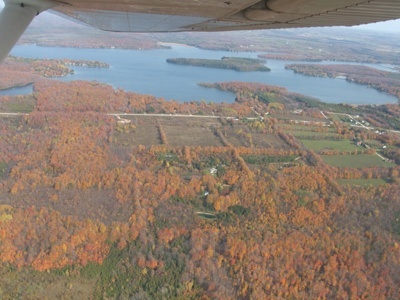 There is no better way to see the fantastic fall colours then by air! Sit back and enjoy mother natures artwork, the vibrant reds, oranges and yellows of the fall colours. 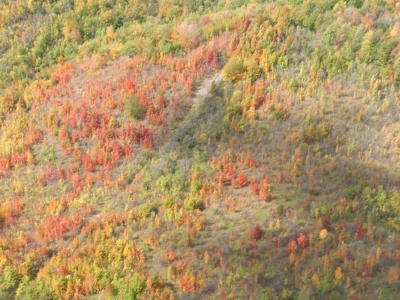 Enjoy either a 30 minute or 60 minute flight that will show you the majesty of the fall colours. Each year is unique and spectacular and a flight is a guaranteed to be a hit! Don’t wait too long on this one though, they won’t be around for long.